Thank you all our visitors at today's Open Day at the Captain's Garden. The community volunteers bringing back the Captain’s Garden at Deal Castle into use have an Open Day on Easter Monday, 22nd April from 10:30am to 2pm. 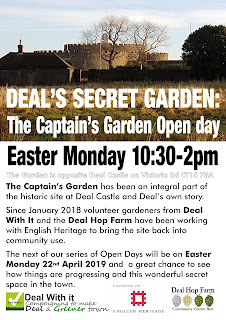 The historic walled garden is normally not open to the public and is an amazing 1.2 acres space in the centre of Deal. 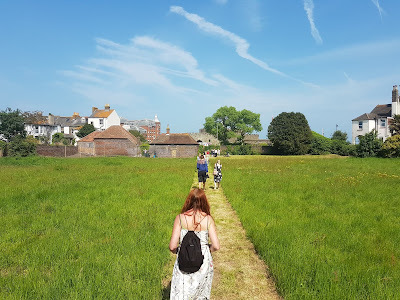 Since December 2017 volunteers from Deal With It and Deal Hop Farm have been recovering a small part of the garden; with a hop garden, wild flower meadow, flower & herb beds, a veg & fruit area and two crop circles of barley. 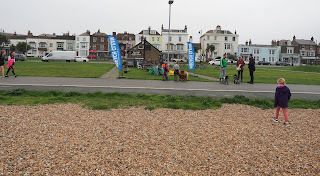 The initiative is in partnership with English Heritage. 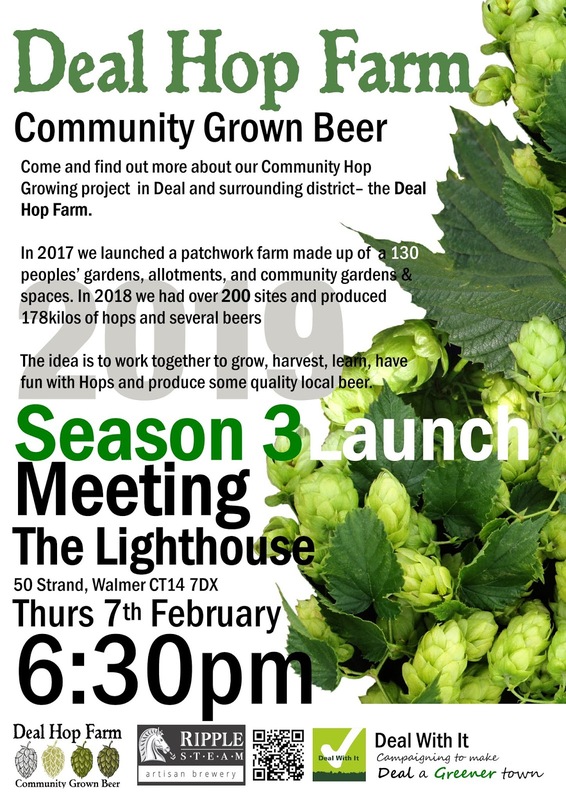 Also at the Open Day, local brewers Time and Tide (brewing partners to the community hop growers in the Deal Hop Farm) will have some the lastest beers using Deal Hop Farm Hops to sample. 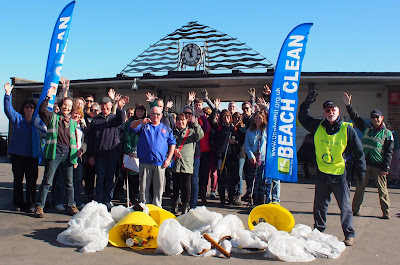 Massive thank you to our 103+ volunteers on today's Deal Beach Clean at Sandown. 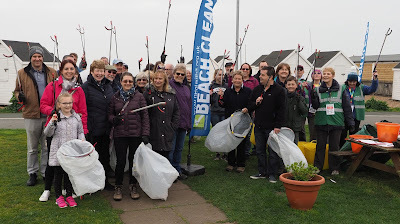 A fantastic turnout despite that cold wind from the east! 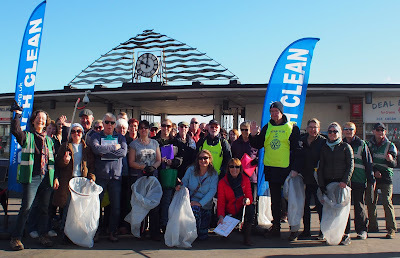 We collected 118kilos of rubbish, only 4kilos which we can recycle but lots and lots of smaller pieces of plastic. 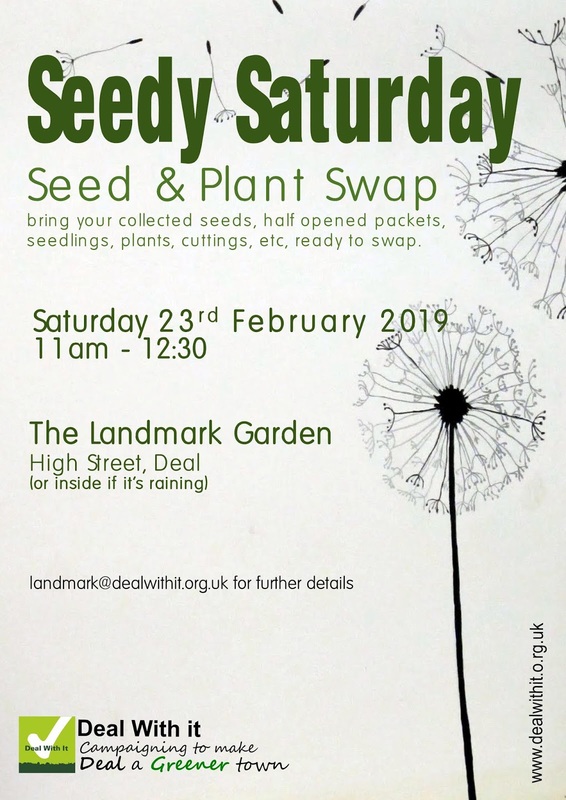 Thanks as always to the organising team today; Vicky, Colin, Tony, Rose, Wendy, Nick, Paul and Graham. Red Letter day today: We brewed our first new beer of 2019 with local brewers Time & Tide Brewing . This is going to be Pale Ale (4.1%abv) with some our 2018 dried Prima Donna community produced hops as well as Citra & Cascade hops. This will be soon followed by a ESB (5%abv) next week just using our hops. Both beers will be in cask and can and in the town from Easter. The Deal Hop Farm is very grateful to Sam, Paul, Kerry & Jamie at Time & Tide for moving so quickly to support us and put our hops to good use. The project is now its 3rd Season and with over 40 new members covers about 250 sites in and around Deal in its patchwork farm comprised of people's gardens, allotments and community spaces. 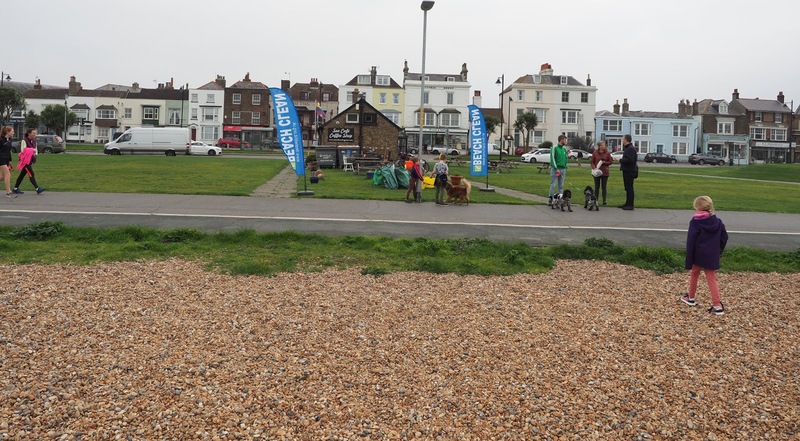 Well done to our colleagues in Kingsdown ConservationGroup on Sunday's Beach Clean. Kingsdown Beach Clean , organised by Kingsdown Conservation Group on 24 March 2019 – a few of the many people who came. 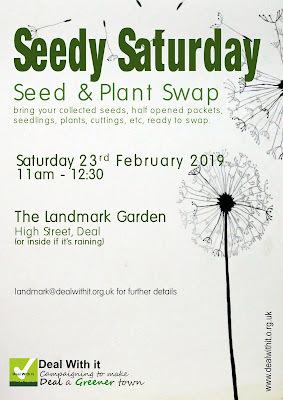 A lovely sunny day, and 58 people, including children, turned up to help. We collected around 28 bags of rubbish, weighing a massive of 115.5 lbs. Excellent effort. 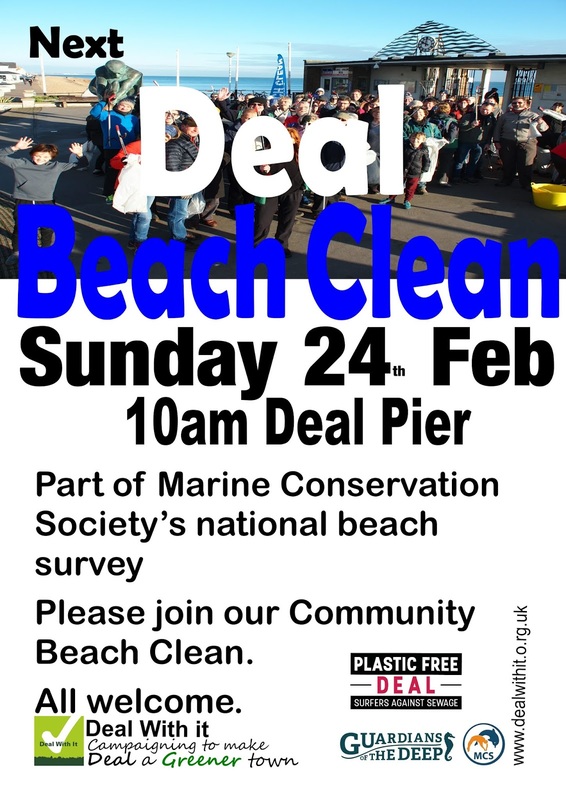 Lots of small and large plastic pieces, lots of fishing line, bits of net and rope, a couple of large metal pieces ( not weighed), socks, plastic cups, plastic teaspoons, bottle tops, cigarette ends. Thank you to our 54 volunteers on today's Walmer Beach Clean. 36.7kilos collected most of it small stuff and about 1.5kilos of recyclables. 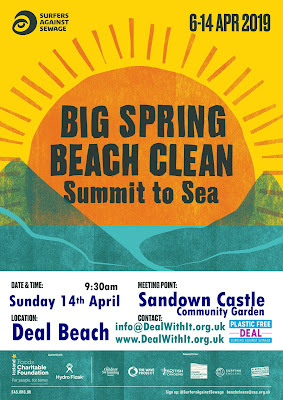 Next one on 14th April at Sandown Castle end of the beach. Got anything that needs fixing? 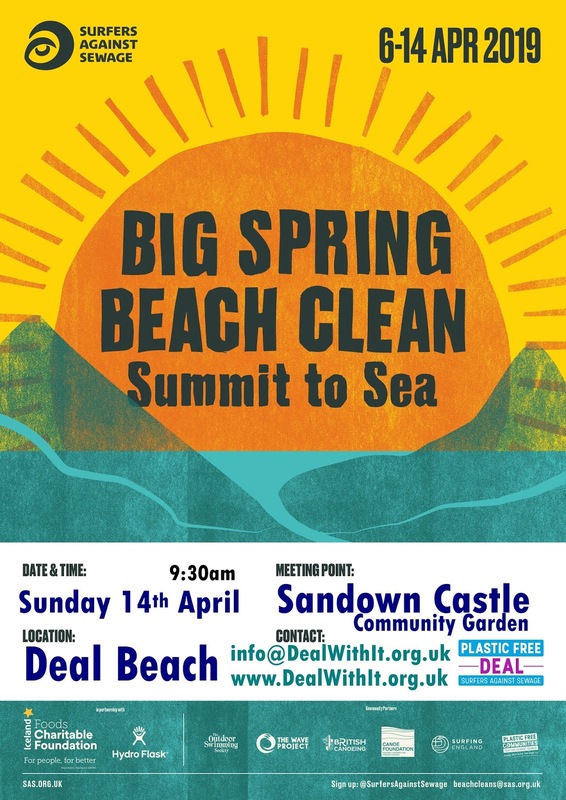 Would you like to help clean up the air we breathe in Deal? 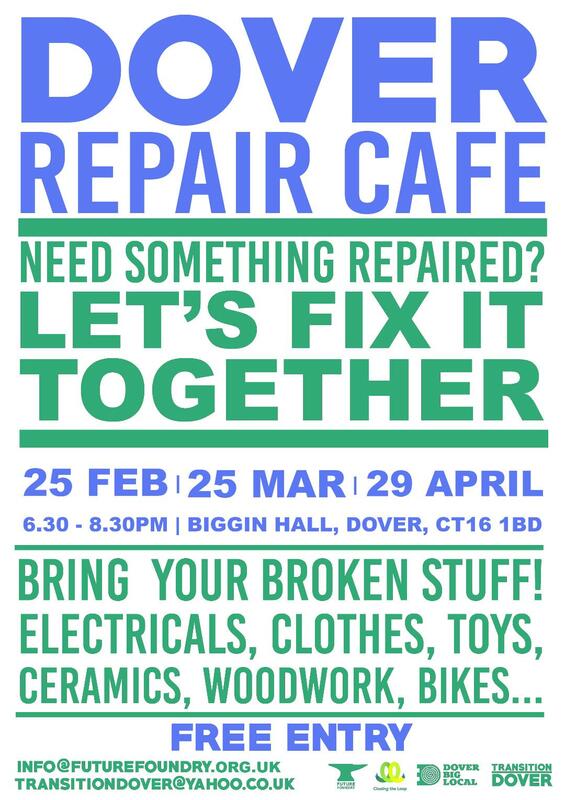 Deal Town Council is looking for volunteers to help reduce air pollution caused by vehicles idling at road junctions and outside schools. A number of supporters have been supporting the eXtinction Rebellion events and School Students Climate strikes in Canterbury – all trying to get the IPCC report of only 12 years to do something meaningful for climate change higher on the political agenda. 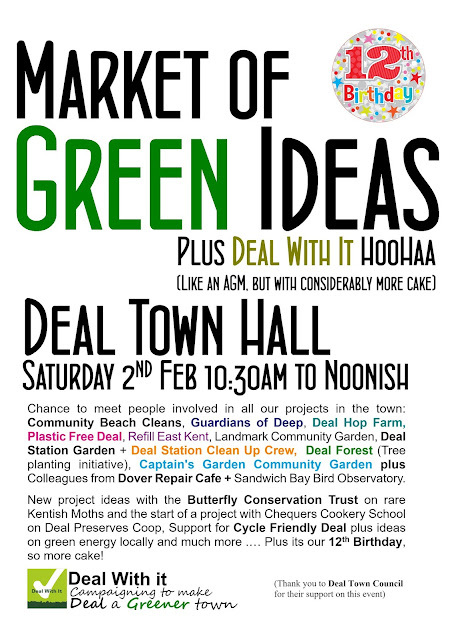 A number of colleagues will be holding an open meeting at the Landmark Bar on 12th March and are supporting the Green Councillors motion to Dover District Council on 6th. Thank you to our 70 volunteers on today's Community Deal Beach Clean. Over 15kgs collected & logged on today's clean supporting the work of Marine Conservation Society. Thank you to everyone who came to our Market of Green Ideas on Saturday - Hope you all got some cake! 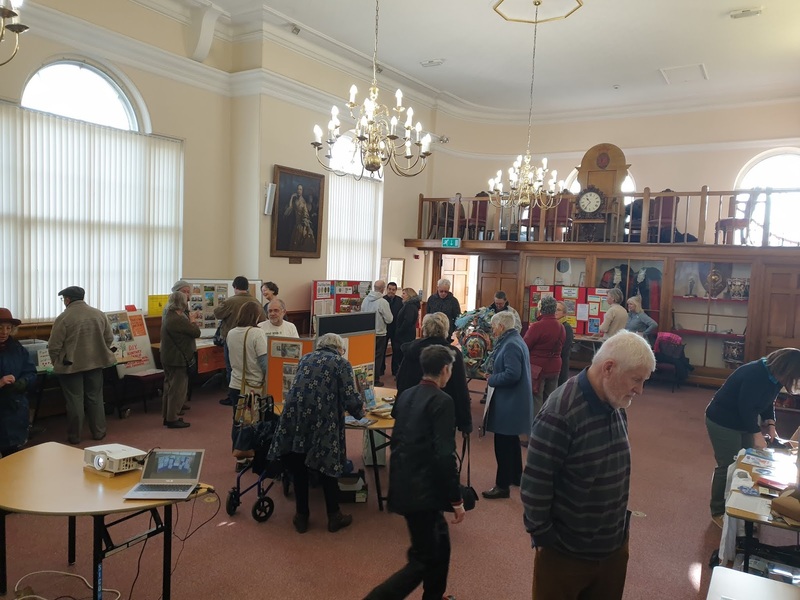 Special thanks to all those who ran the stalls, those who helped organise the event and baked and the staff at the town hall. We are grateful for the Deal Town Council kindly waiving their rental of the town hall. 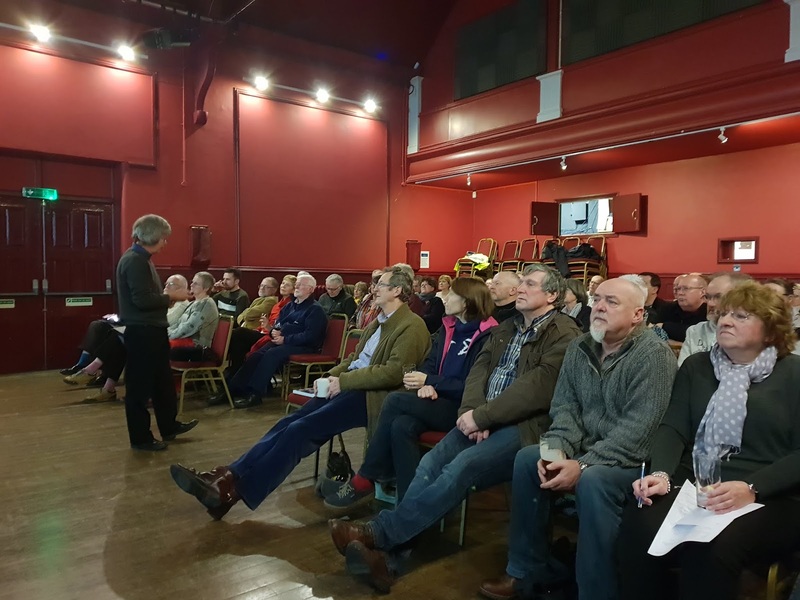 2nd AGM of the Deal Hop Farm was held the Astor Theatre on Sunday. 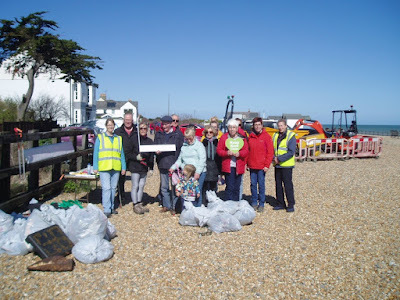 42 sites / 52 people including colleagues from Hythe Hops our sister organisation in Hythe. 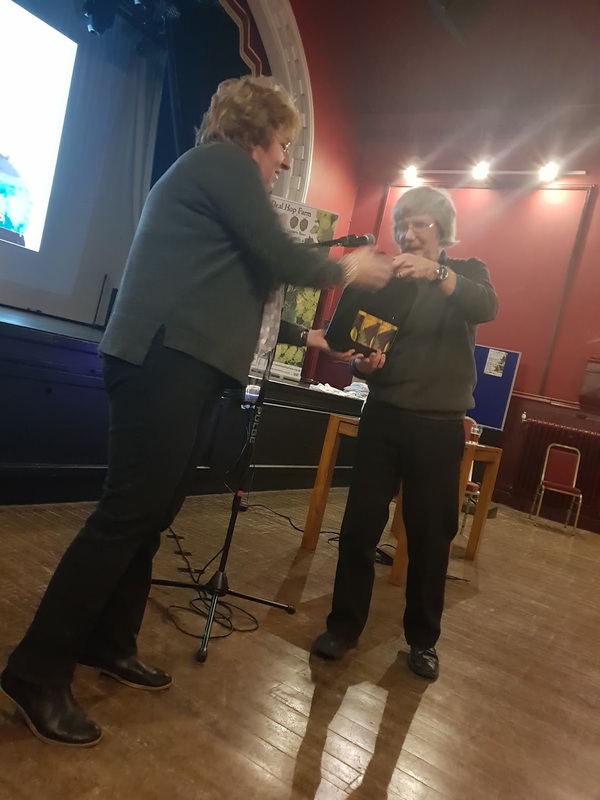 Special thank you to Dr Peter Darby for his interesting talk on where our Prima Donna hops came from and managing the diseases and pests. 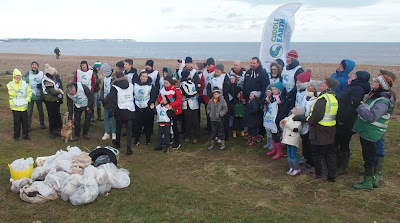 There was 50+ volunteers on the 'Cuddle Earth' ( a local Sandwich toy company which is supporting Surfers against Sewage) at a cold and windy Sandwich Bay today. About 90kgs collected by the volunteers in about 1.30.